To others wrestlers who have wrestled as El Hijo De Rey Misterio, please see the disambiguation. 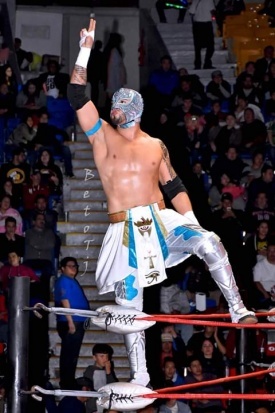 Nicknames "El Caballero del Aire"
In 2015, he joined Lucha Underground for the second season as Dragon Azteca Jr., becoming the son of a deceased luchador from Season 1. His mentor is his cousin Rey Misterio Jr.